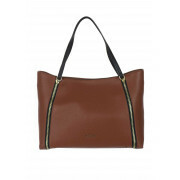 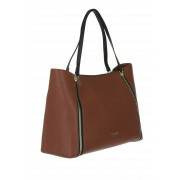 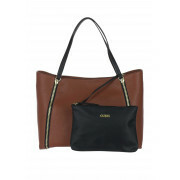 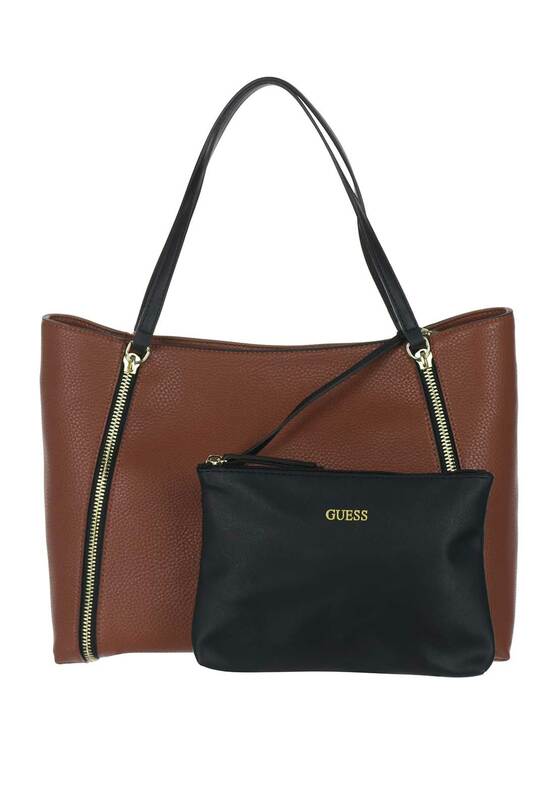 This stunning tote bag from Guess can be worn on the crook of the arm or the shoulder to add style and class to any outfit. . 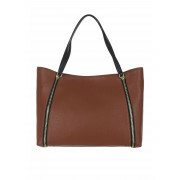 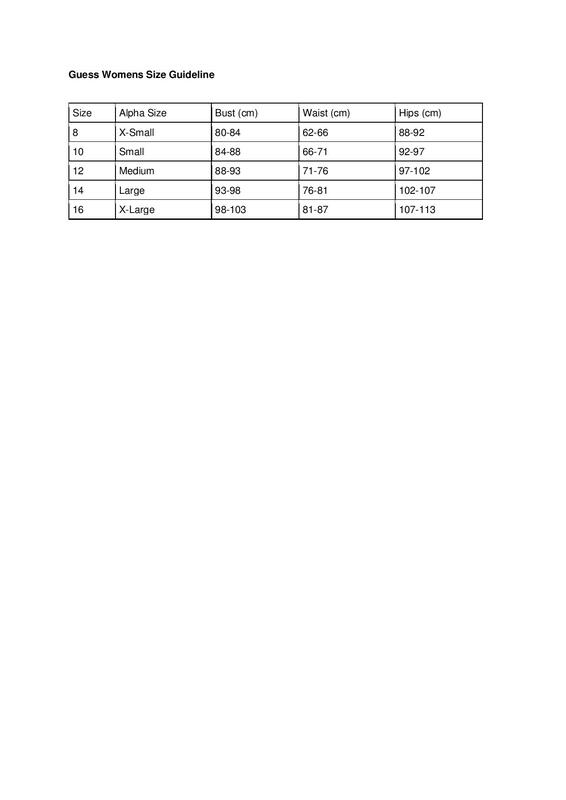 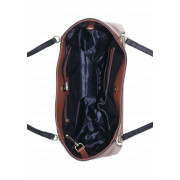 This elegant shopper is the perfect size to keep your financial assists in order with a button fastening revealing a spacious interior detailing a small zip pocket, media pockets and a cute black pouch for them makeup essentials, or important documents.